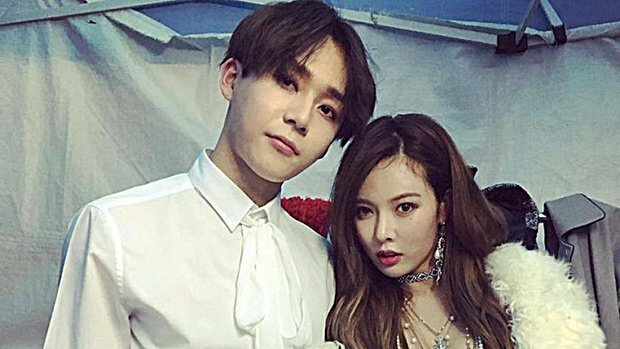 HyunA and E’Dawn’s careers may be safe! Their label released a statement saying they have NOT been dropped — at least for now. Find out what happened, here. So, while there’s still a chance that the couple could be dropped from their label, it’s not happening anytime soon. Yay! That is such a relief! Cube Entertainment said in a previous statement that they decided to drop HyunA and E’Dawn because they no longer had “faith” in the two members of trio Triple H after they hid their relationship. The announcement came just about a month after they announced publicly that they’re dating. Even more shocking? The couple revealed that they didn’t even know that their label dropped them! They apparently found out from the press like everyone else, according to a report from Ilgan Sports! Hopefully, Cube updates them about the status of their contracts this time so they don’t find out from this article! 'The Hills' Cast Appears to Start Filming 2019 Reboot — See Who's In and Who's Still MIA! What’s up in the Russian Arctic?